Your clothes never seem to dry all the way, creating longer dry times. To make matters worse, they come out of the dryer wrinkled and full of static electricity. And using dryer sheets or fabric softeners isn't an option because they can cause harm to your dryer, not to mention the environment, with all those chemicals. 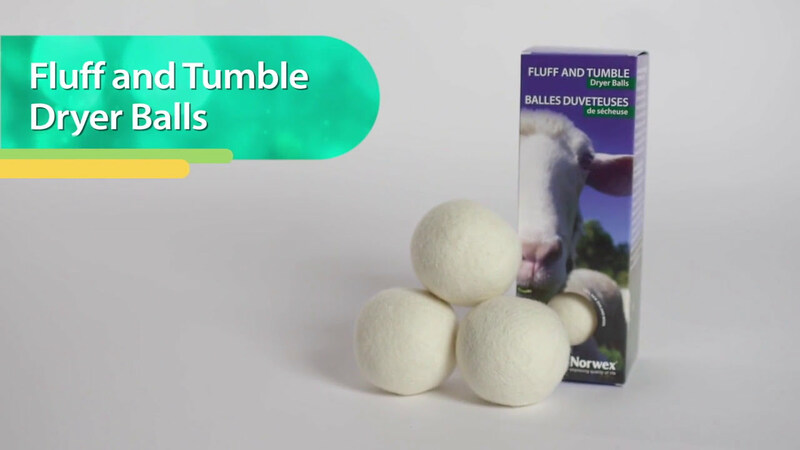 The Fluff and Tumble Dryer Balls reduce dryer time, wrinkles and static by creating space between your clothes as they are tossed gently in the dryer, allowing more air to circulate between and among them. And, what's even better, they don't contain chemicals or dryer-harming ingredients like most dryer sheets and fabric softeners.